The Interreg project Baltic InteGrid analysed the framework conditions for the development of a common offshore power grid infrastructure of the Baltic Sea states. The aim of the project was to make a significant contribution to the coordination planning for network infrastructure of the offshore wind farms in the Baltic region. The development of meshed electricity networks in the North Sea and the Baltic Sea can improve the energy efficiency and environmental benefits of offshore wind farms. At the moment, the wind energy potential is not being maximized in the Baltic Sea region, and the national electricity markets are not sufficiently integrated into the European grid. In addition, there are still deficits in the regulatory environment in the individual Baltic Sea states and at the European level, of which some are opposed to the conceptual design of a common offshore power grid infrastructure. In contrast to the North Sea, the development of offshore power grid infrastructure in the Baltic Sea still lags behind. 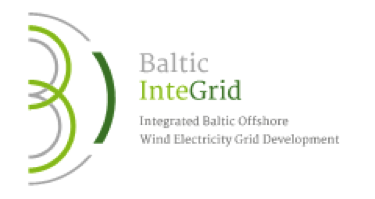 The Interreg project Baltic InteGrid (Integrated Baltic Offshore Wind Power Grid Development) therefore aims to serve as the framework for the development of a common offshore power grid infrastructure for the Baltic Sea states over the years 2016 - 2019. The goal of the project is to make a significant contribution to the coordinated planning of grid infrastructure for offshore wind farms in the Baltic Sea. The development of a meshed electricity network in the Baltic Sea is an important step towards sustainable electricity generation and the strengthening of supply security in the region, as well as the further integration of the Eastern European electricity grid. 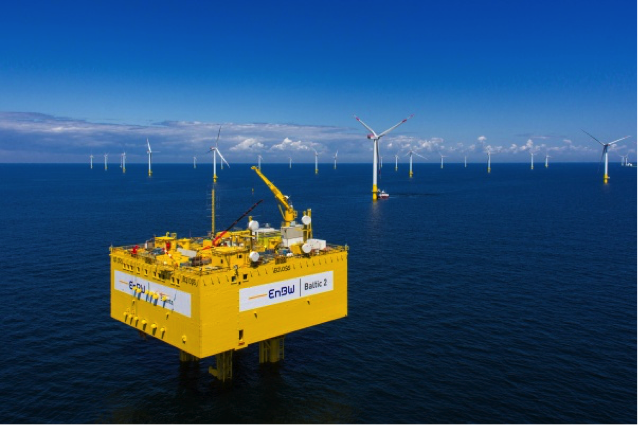 The project will connect relevant stakeholders (transmission system operators, offshore wind energy industry, policymakers, national authorities and academia) in debates and topical knowledge exchange with a view to optimize transnational coordination of offshore wind energy infrastructure. Additionally, the project’s innovative research efforts will equip stakeholders with state-of-the-art insights on the framework conditions for the development of a regional meshed grid, addressing the following fields: Policy & Regulation; Technology & Grid design; Market & Supply Chain; Spatial Planning; Environment & Society and Cost-Benefit Analysis. • The Baltic Offshore Grid Forum (BOGF): The conference and communication platform of the project. • A high-level concept for the Baltic Offshore Grid: The interdisciplinary research component of the project. • Detailed case studies for two interconnection scenarios serving as components of the Baltic Grid Concept. Fourteen partners from all eight EU Baltic Sea states participate in the project. The majority of the partners come from the field of research and consulting. In addition, a large number of companies from the manufacturing industry, network operators and non-profit organizations are closely linked to the project. Within the scope of the project, concepts and solutions for meshed offshore power grids in the technical, regulatory and economic sectors are to be presented and discussed with the stakeholders at workshops, seminars and conferences. The German Offshore Wind Energy Foundation is responsible for project communication and stakeholder management, among other aspects. This includes the development of online communication and corporate identity and the planning and implementation of events and workshops.